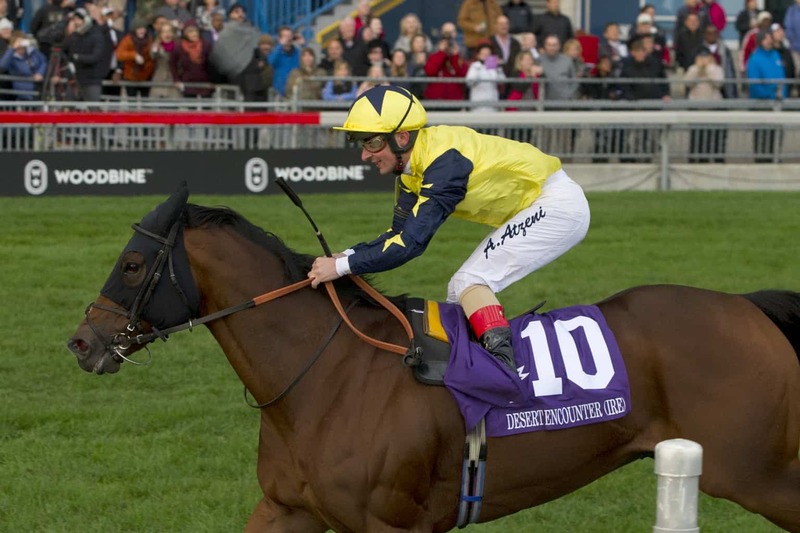 The action at Woodbine on Saturday had a strong International flavor. 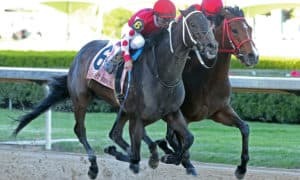 Several horses shipped in to make their North American debuts from overseas, with Desert Encounter being the horse that shined brightest, winning the Grade 1 Canadian International Stakes. After breaking out of the gate a bit slowly, he was forced to sit towards the back of the field, before commencing a strong rally towards the outside. 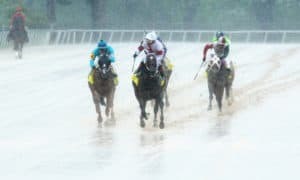 After kicking clear of the rest of the field, he then engaged in a battle with the favored Thundering Blue, putting him away at the wire to win the race by a length. 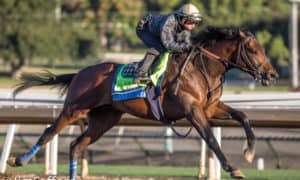 At the moment it is unclear whether this win will coax his connections to try the Breeders’ Cup Turf for his next start. If they do, he could be a major factor in the race. 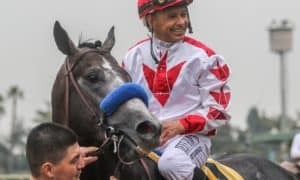 The “Turf Rocket” showed up with her normal strong effort to win at Keeneland for the third time in her career, when taking home the Grade 1 Queen Elizabeth II Challenge Cup Stakes on Saturday. 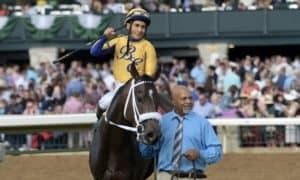 The 3-year-old turf star broke alertly, took control early in the race, while kicking clear down the lane for a clear 1 1/4 length victory in the end. 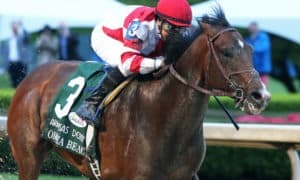 The Chad Brown trainee improved her overall record to 7-6-1-0 with earnings of $1,308,000, with her lone loss coming by only a neck at Churchill Downs earlier in the year. 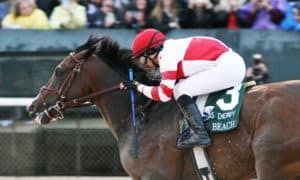 Speaking of Churchill Downs, it sounds like this filly will skip the Breeders’ Cup, while possibly pointing towards a December start at Del Mar to round out her season. 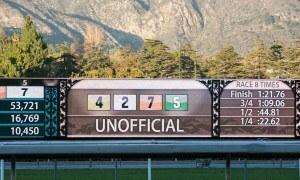 Sheikha Reika made her North American debut a winning one in the Grade 1 E. P. Taylor Stakes last Saturday at Woodbine. She broke out of the gate well, while finding a spot towards the middle of the pack while racing up the backside. 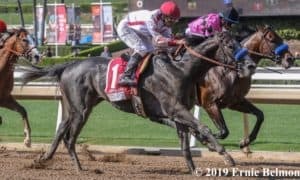 After racing patiently, she made her move on the far turn, with a strong rally down the stretch to win the race by 3/4-length’s over the Chad Brown trained Santa Monica. 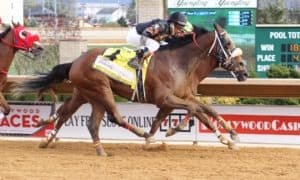 In his post race interview assistant trainer Michael McGowan suggested that his filly liked the firm turf course, which could mean that the filly will excel when running on this side of the world. 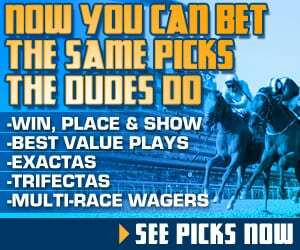 She has now won three races in her career while amassing $287,753 in earnings.